to see if we travel to your area. 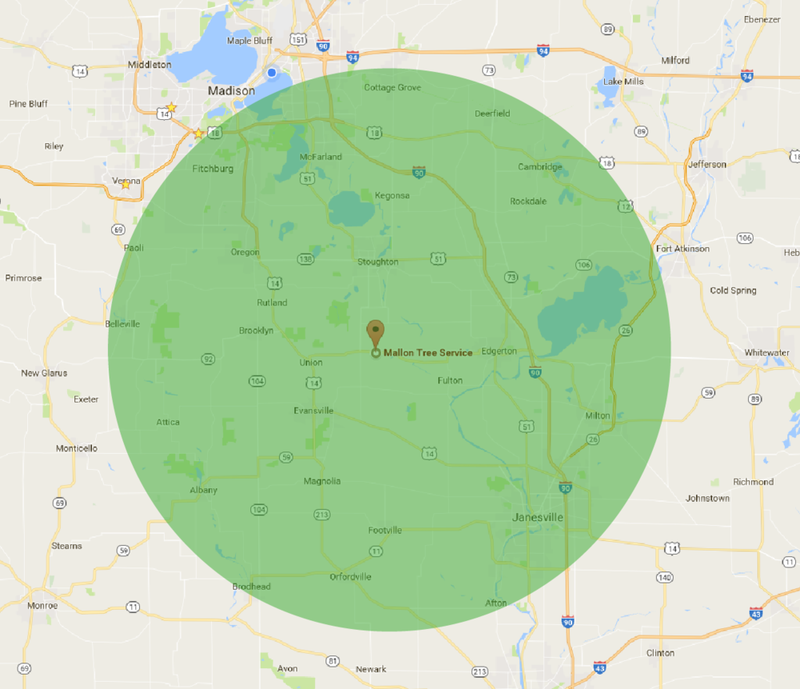 Mallon Tree Service considers its service area to be the entirety of south-central Wisconsin, with an emphasis on our homebase between Evansville and Stoughton, WI. Mallon Tree Service tends to municipal, commercial and residential properties. Our clients include: City of Milwaukee, Cooksville Historical Trust, and thousands of private businesses and homeowners. Our clients depend on us for skilled maintenance and observation of the most essential part of their landscape. We are dedicated to building long-term relationships with all of our customers. With an eye to the future, we take pride in and are grateful for our many returning customers.